Made with only "the world's most perfectly cut diamonds," Hearts on Fire wedding bands make a wonderful complement to any couple's dream marriage ceremony. Available in a variety of diamond-adorned styles, each Hearts on Fire wedding band design is totally one-of-a-kind and is made using only the most innovative jewelry making technologies. Additionally, BENARI JEWELERS is proud to display a massive selection of some of the most beautiful and most desired wedding band collections that Hearts on Fire have to offer today in both of their wonderful Delaware Valley area showrooms. Located in Exton and Newtown Square, Pennsylvania, BENARI JEWELERS is thrilled to bring their valued customers one of the largest selections of Hearts on Fire wedding bands in the greater Philadelphia area. 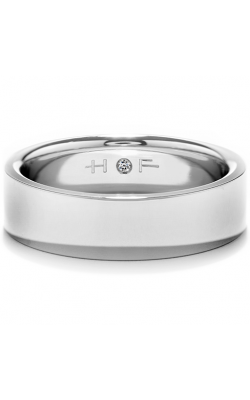 As an authorized Hearts on Fire retailer, customers can rest assured knowing that every men's and women's wedding band available today at BENARI JEWELERS is authentic, beautiful, and of a one-of-a-kind diamond brilliance. Popular Hearts on Fire wedding band collections available today at BENARI JEWELERS include the diamond-adorned women's bands that comprise the sophisticated and timeless Destiny, Copley, Diamond Bar, HoF, and Lorelai collections, as well as vintage-inspired pieces from Hearts on Fire's Transcend, Optima, and Multiplicity collections. Further, also on display at BENARI JEWELERS are Hearts on Fire men's wedding bands made with 18-karat yellow gold, white gold, rose gold, in addition to handsome engravings and uniquely textured designs. With over 50 years of experience, BENARI JEWELERS is devoted to providing their customers with the absolute best fine jewelry selection and service in the greater Philadelphia areas. With two immaculate showrooms located in Exton and Newtown Square, Pennsylvania, BENARI JEWELERS carries an amazing selection of designer diamond wedding bands, engagement rings, timepieces, and wonderful fashion jewelry items. Further, as an authorized retailer of legendary designers such as Rolex, Tacori, Cartier, Hearts on Fire, and many more, the friendly and expert staff are committed to helping their customers in the West Chester, Malvern, Downingtown, and King of Prussia area find the piece of their dreams.